It’s an incredibly hedonistic place. 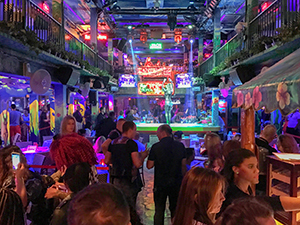 2.5 miles of beach, bikinis, bars and bawdiness, it’s a place with a decidedly Caribbean vibe that’s rife with restaurants and clubs, with just enough culture, kitsch and sleaze mixed in to give it an exotic feel. You won’t find another place like South Beach anywhere in the U.S.
Aka SoBe, South Beach is part of Miami Beach, aka The Billion Dollar Sandbar. 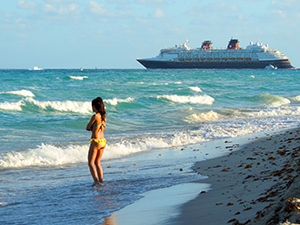 Miami Beach sits on an eight-mile stretch of an Atlantic barrier island; SoBe anchors its southern tip. Although SoBe extends from that tip up to 24th street, the most famous, and raucous, area is along Ocean Drive. The Drive runs along the beach between 5th and 15 streets. It’s all quite confusing to anyone booking a hotel online. Many unknowingly select a hotel further up-island in Miami Beach miles from the spectacle they’ve come to see. Having lived close to South Beach for years, I’ve visited it countless times, especially when friends and relatives visited. Then we had to do the “tourist thing” and had our itinerary down pat. Now further away, I returned a few weeks ago to experience this non-stop carnival once again. It’s still as raucous and colorful as ever, perhaps even more so then during Spring Break. 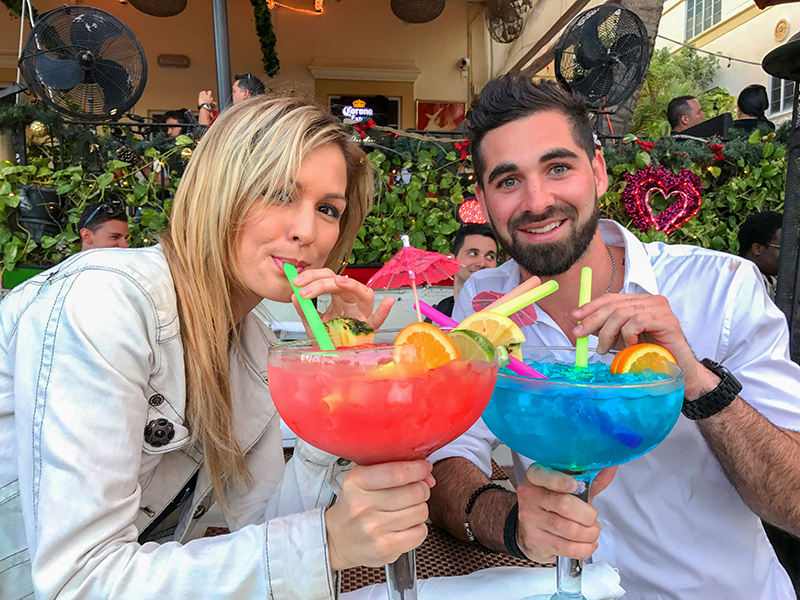 South Beach is actually more of an experience than a place, and it teems with tourists and beautiful people 24/7. They sunbathe surfside by day and bathe in the cacophony of sound and light along Ocean Drive come night. 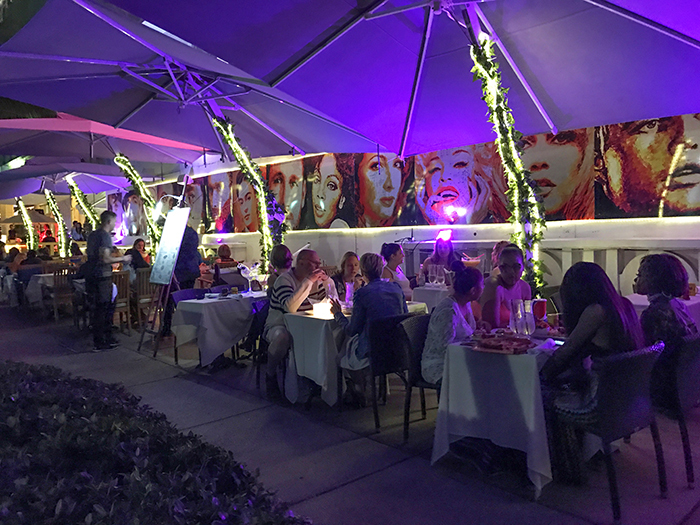 At one point or another, many flock to pedestrian-only Lincoln Road, SoBe’s shopping and dining mecca on steroids. 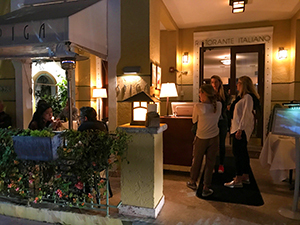 Despite its reputation as a place where the young party, South Beach does attract people of all ages. I saw many in their 20s and 30s, as always, out for a good time and club-hopping until dawn. But I also saw a surprising number of families and older travelers, including many Europeans. 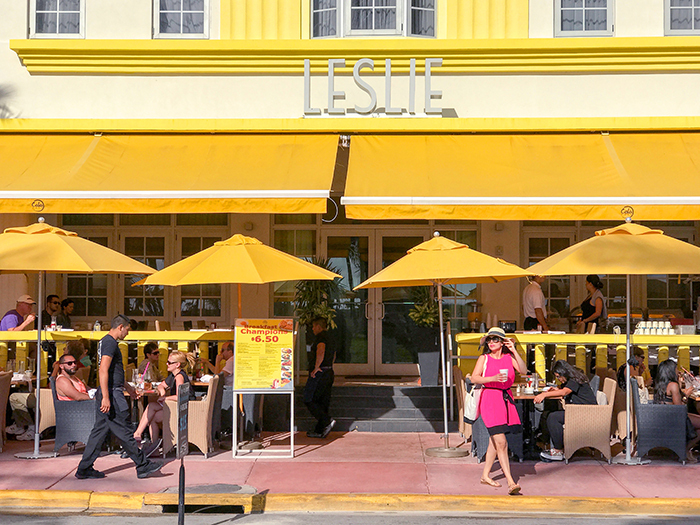 Many of them tend to breakfast in the cafés along Ocean Drive long before many others awaken. One of the things that attract the older crowd is SoBe’s grand architecture. 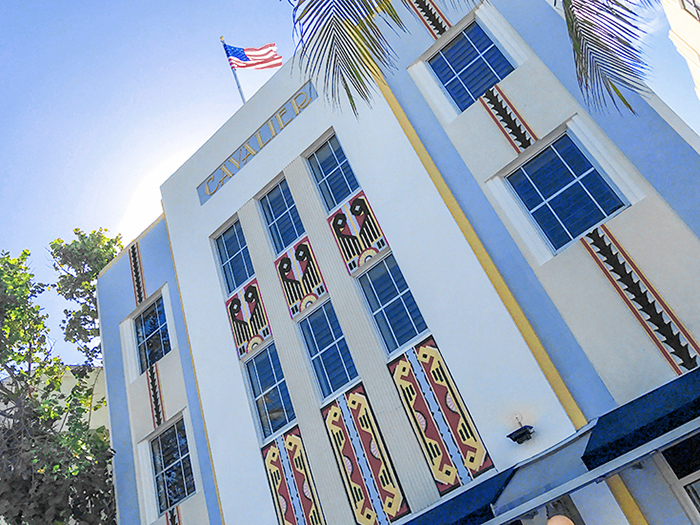 There are more than 800 preserved Art Deco buildings in Miami Beach. 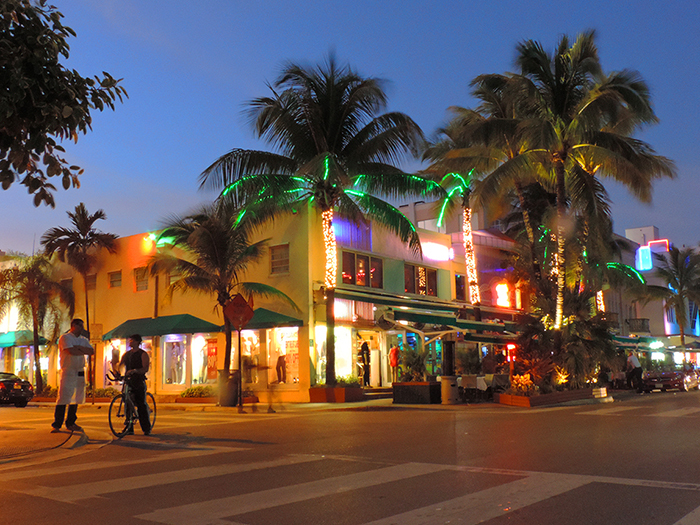 Many are in South Beach, and the best known are on Ocean Drive, only steps away from the fabulous beach. 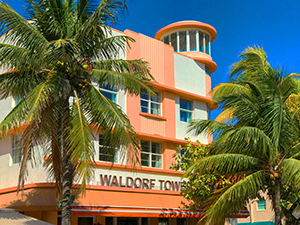 Before it became a party town, South Beach was celebrated for its Art Deco. It firmly marked SoBe’s and Miami Beach’s place on the map. But back in the 1980s and 90s South Beach took its Art Deco even further. It splashed it with pastels and created an entirely new genre that has become know as Tropical Deco. Today it fits all so well with the overall SoBe experience. 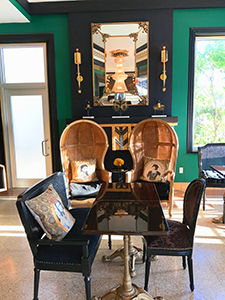 I’ve always enjoyed Art Deco and have wanted to learn more about it. South Beach provided a great, easy way to do it. All I needed to do was take a tour. I finally took my plunge at the Art Deco Welcome Center on Ocean Drive. It’s quite easy to do: just arrive before 10:30 am any morning and sign up. The 90-minute walking tour is $25 per adults, $20 each for seniors and veterans. At 10:30 one morning my wife and I set off with tour guide Gina and a group of eight others. Our little international group included folks from Australia, London, and New York. Within minutes we were corralled on the grass next to the center as Gina began her overview of Art Deco. Art Deco wound up here on Miami Beach, she explained, following a catastrophic hurricane in 1926. A few years later, following the end of prohibition, gangsters were looking for new investments and came to Miami. Soon the devastated Miami Beach was rebuilt in Art-Deco style with money from the mob. Today a million tourists still thank Al Capone. Following our speed briefing in Art Deco, Gina whisked us over to the 1938 Essex House Hotel. Along with many other SoBe Art Deco properties, she explained, the Essex was saved from demolition in the 1980s. Today its deco lobby still has the arrows set in the floor that once directed patrons to its clandestine casino. By the way, all of these hotels welcome you to wander in and around their beautiful public areas. 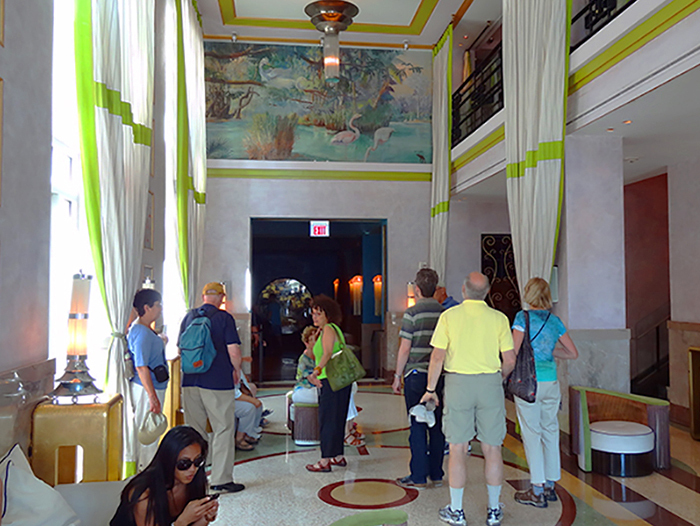 After the stop in the Essex, we walked another block to view the Wolfsonian on Washington Avenue. It’s a rather odd-looking building that today is home to an interesting small museum that hosts numerous revolving exhibits. But back in the 1930s, it was a moving and storage house with a profitable side business. When hotels got word they were about to be raided they’d call for the moving vans. The trucks would pick up craps tables and roulette wheels, then drive them around town until the police left empty-handed. Moving along, we passed the Post Office with its famous Deco rotunda and several other notable buildings. We were soon back on Ocean Drive viewing the Tides Hotel, a luxe Art Deco property on prime real estate. After the tour had ended we returned to the Tides for a delicious, but pricey, lunch outside on its sidewalk terrace. We quickly found it was also a good venue to watch the drag queen sing fest at the café next door. Upscale South Beach is an expensive destination. But there are several ways to cut your costs. First and foremost, is to cut your hotel costs. During my South Beach trip, I booked two nights at the Cavalier Hotel on Ocean Drive. It’s an Art Deco property, and, importantly, I wanted to stay on Ocean Drive. It’s a comfortable hotel, not luxurious, but it’s clean and newly renovated. Despite its prime location, I saved quite a bit by booking through BonWi.com, a new hotel and airline booking site. BonWi.com guarantees the lowest price for a room or ticket, plus it rewards you with points. These aren’t, however, the usual hotel points awarded by the chains that typically equate one point per dollar spent or the number of nights you stay at a property. BonWi.com gives a lot of points, which are more valuable than those from competing hotels or the airlines. For example, the two nights I spent at the Cavalier on South Beach, booked through BonWi.com, cost me $673.16. BonWi.com rewarded me with 10,098 points for the booking, not the 673 I’d usually receive from a hotel chain. They also provide an 110% guarantee, paying extra if they can’t match or beat a competitor’s price. And you will also pay no taxes for redemption, another good saving. The entire booking experience was also quite easy. But there’s more: those 10,098 can also be redeemed for cash via a Visa gift card if I so desire. So my real cost-per-night was cut by an additional $50, bringing my cost to $286.58 per night. Most of the bars and hotel cafés along Ocean Drive offer morning breakfast. 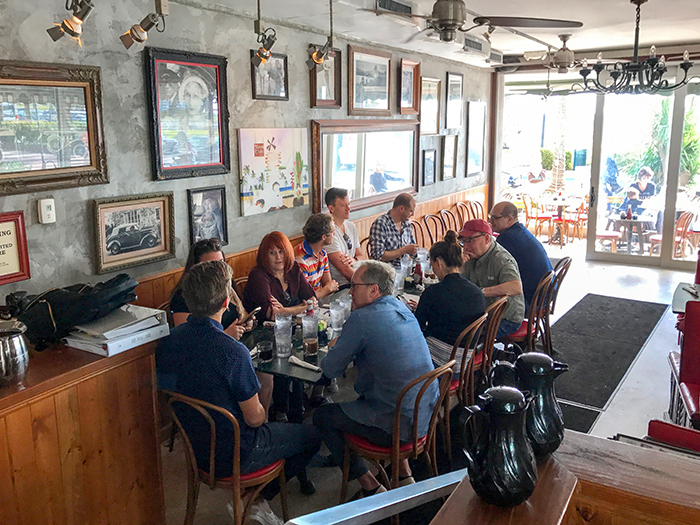 One of the iconic places in South Beach to have breakfast, though, is at the News Café. At the corner of 8th Street and Ocean Drive, it’s very popular with locals although few others know of it. It offers a variety of excellent breakfasts, along with newspapers in several languages. It’s open 24 hours a day, with the all-important Happy Hour kicking off at 4 pm. Another iconic place to eat is the 11th Street Diner at the corner of 11th Street and Washington Avenue. Think old-fashion diner food – burgers, malts and a hundred other things the chef cooks up in the kitchen. Your choice: a seat in a booth or a stool at the counter. More upscale is Spiga Ristorante Italiano in the Impala Hotel, set in a 1920s Spanish Mediterranean Revival building. I used to have dinner here several times a year since it’s comfortable, quiet and has good food. It draws a much different crowd than you find a block away on Ocean Drive. It’s at 1228 Collins Avenue between 12th and 13th Streets. Great article! You brought out good memories for this ex-Miamian – I would like to go back soon and visit the unique sites you described so well. Keep on traveling – and writing! You should return since it’s such a unique American place!